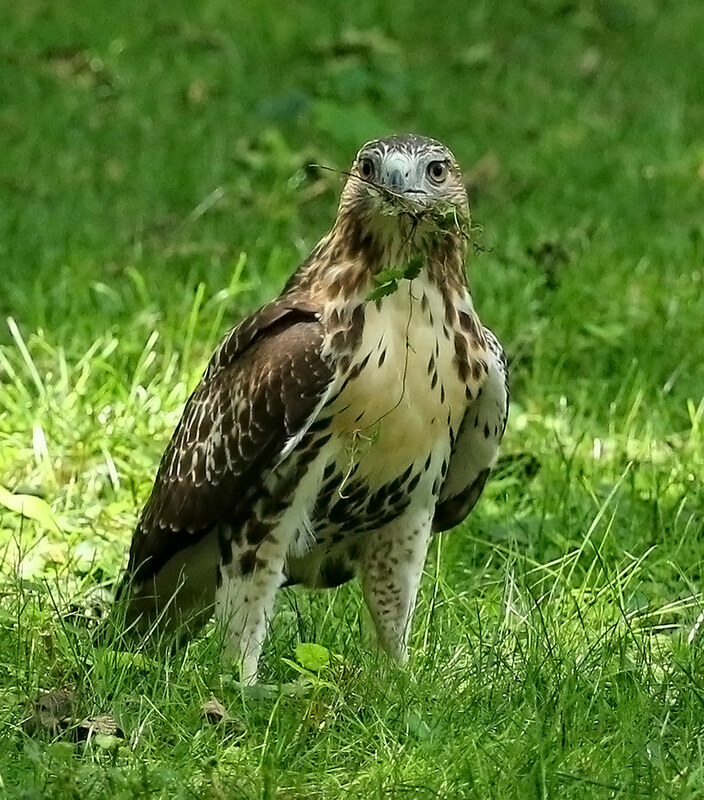 There's not much exciting hawk news to report from the last few days. 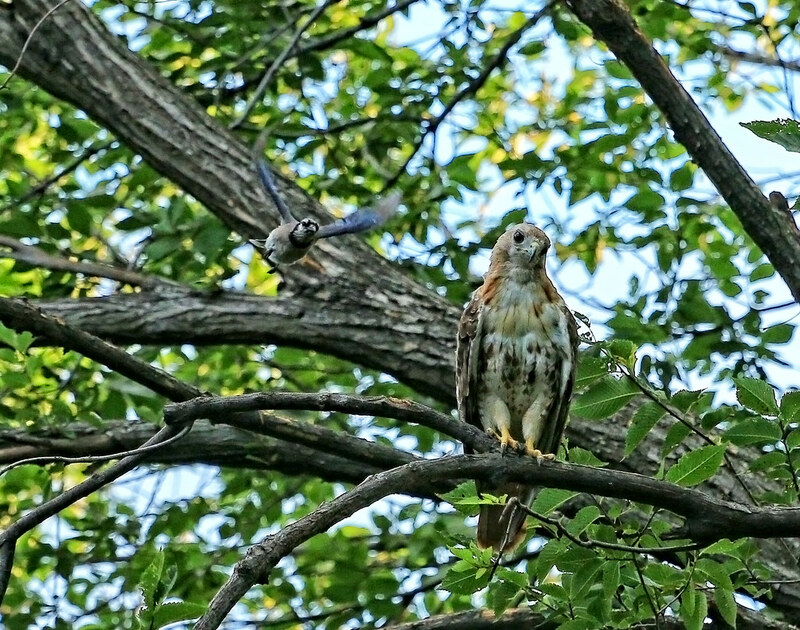 Summer plods along and the three young hawks continue to hone their hunting skills. Their relationship with squirrels is one I continue to try and understand. 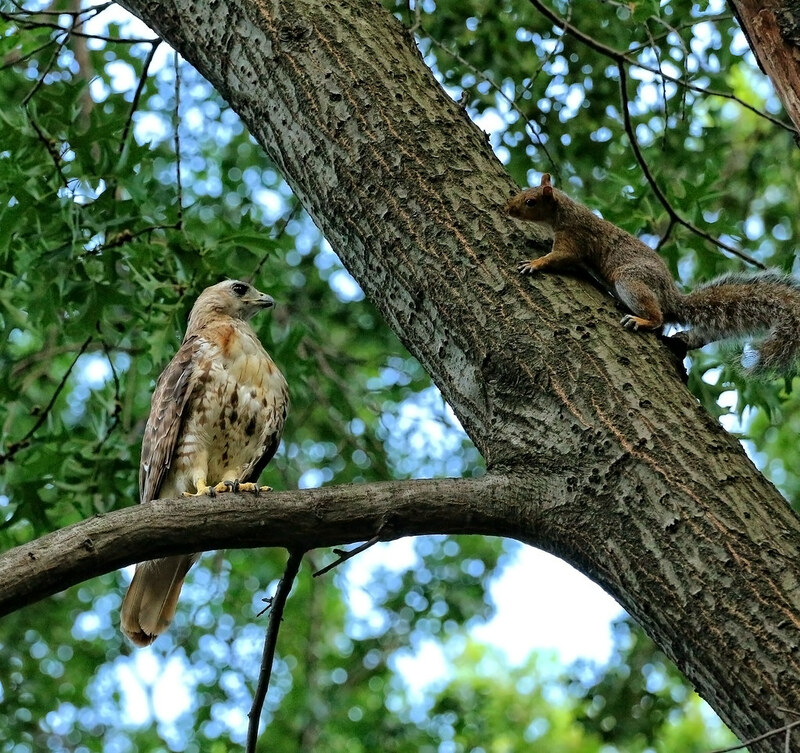 Squirrels are formidable, but can still be caught. 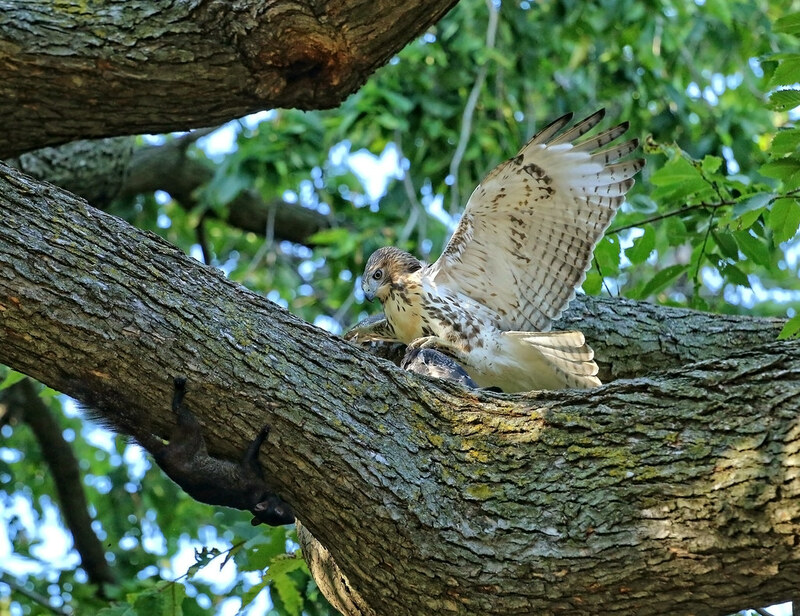 They know they can out-run and out-maneuver the young hawks, so seem to have no fear. 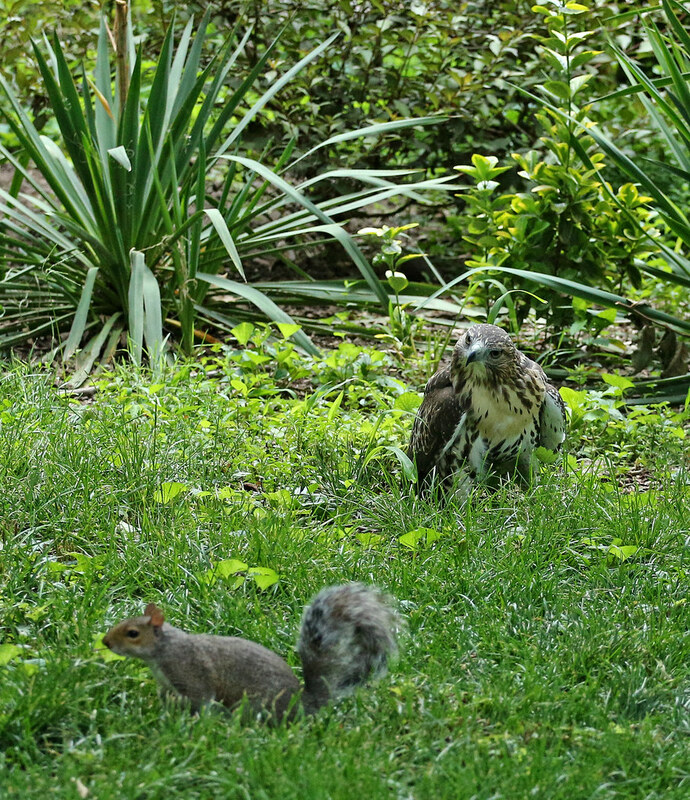 This fledgling caught a pigeon in a tree only to be harassed by the resident squirrel. ...but in the end opted for salad. Even dad Christo is out-sized and out-muscled by this potential meal. After being chased out of that tree, Christo settled in a neighboring one, only to be bullied by a pesky blue jay. Ugh!